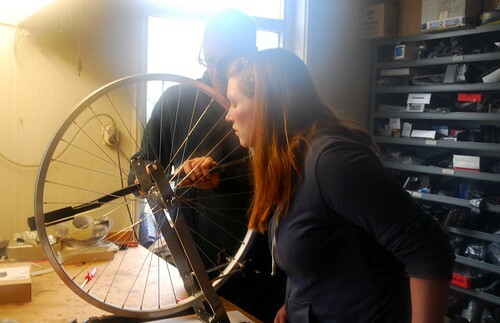 Cycling without a helmet: Learning to build a wheel! Learning to build a wheel! , originally uploaded by travelling two. This was so much fun... Photo by the travelling two.